Have Your Order in 5-7 Business Days*! Based on the report from cdc.gov, each year at least 1.7 million adults in the USA develops SEPSIS. Nearly 270,000 Americans die because of SEPSIS. 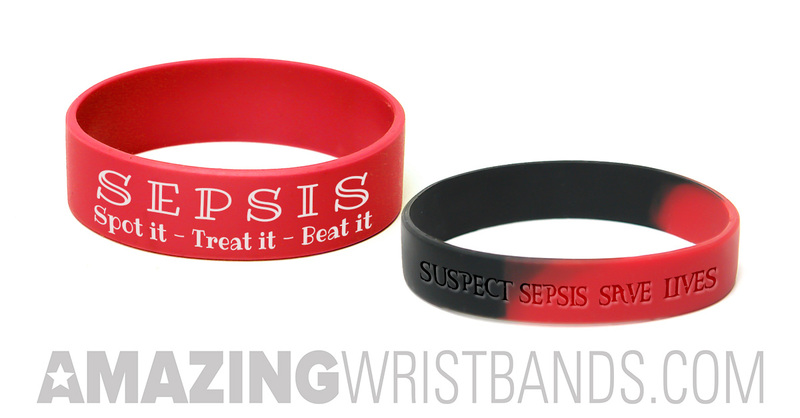 1 in 3 patients who die in hospitals has SEPSIS. To highlight the need for increasing awareness among the people, each year September is observed as the Sepsis Awareness Month. Raise your voice for SEPSIS with silicone wristbands customized at AmazingWristbands.com — a leading provider of custom silicone products. 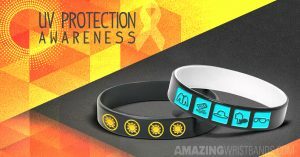 Skin cancer is the most common type of cancer in the United States and the direct exposure to the ultraviolet light is considered as the most common cause. This affects the eyelids, lower lid, corners of the eye and under the eyebrows. 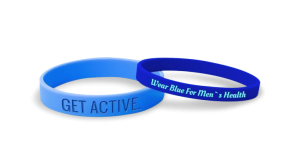 Wear BLUE day is to raise awareness about the men’s health and to educate them the need to seek regular checkups for cancer education and other health issues. 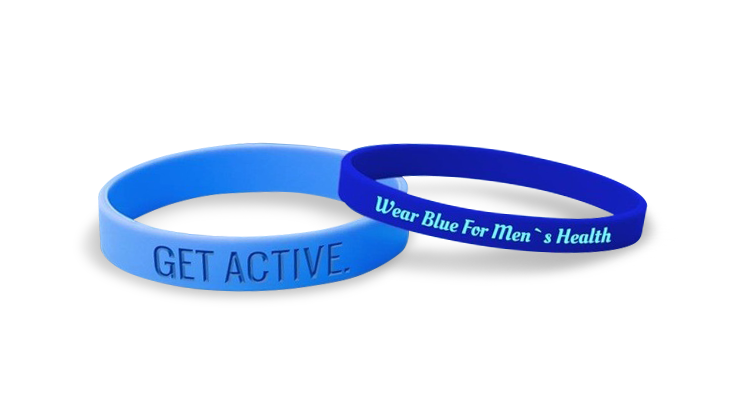 It may be your friend, brother, dad or spouse, show them your care by wearing blue. CALL AND ASK ABOUT OUR AMAZING DISCOUNTS!